Regardless of your current position or employment status, it is important to view yourself as you would an organization. In this example, you have the privilege of being the CEO of you. 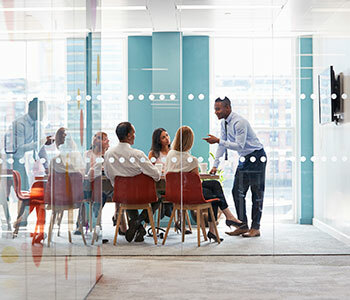 As the CEO, your duties entail overseeing each component of your organization, developing ways to grow your company and create greater shareholder value. Possessing the role of CEO for a company can be a daunting task at times. However, behind every great organization and CEO is a board of directors. Investopedia defines a board of directors as a group of individuals elected as a proxy for shareholders with oversight and authority regarding corporate management, policies and decisions (along with many other duties). Therefore, as the CEO of you, you are not on this journey alone. You can rely on your board members to help you grow personally and professionally. This post was inspired by The Wall Street Journal’s Personal Board of Directors column. In the June 28, 2018 edition of The Wall Street Journal, the Personal Board of Director spotlight highlighted Sri Shivananda’s, PayPal CTO, personal board of directors, otherwise known as mentors. Within his group of trusted personal advisors, Sri listed his wife, an author, two colleagues, a mentor and a coworker. The diversity of Sri’s board ranges from individuals who are very close to him (i.e. his wife) to individuals he does not even know (i.e. authors). As you can see, his selection of individuals from various groupings provides a great opportunity for him to grow personally and professionally. As a byproduct of possessing a diverse board, Sri described these strategic partners provide him insight, courage, growth opportunities and an opportunity to pay it forward. As the founder and CEO of you, do you have a personal board of directors you can rely on? Do these individuals encourage but yet challenge you to grow personally and professionally, with a similar effect to Sri’s board? If so, great! Continue to invest in these relationships, as this commodity is one of the most valuable assets you can possess. If not, there is no better place to start than looking within your own network. Please visit a previous AthLife Fundamental, “Who Is On Your Roster,” to start developing your network. From there, you will want to identify three to four key members you can rely on to assist you with various decisions, obstacles, and insight as the CEO of you.